January 30, 2019 / LBD "Nytetrayn"
Among the latest updates to accompany the new Piranha Plant fighter to Super Smash Bros. Ultimate is a new event, and it’s all about Mega Man! 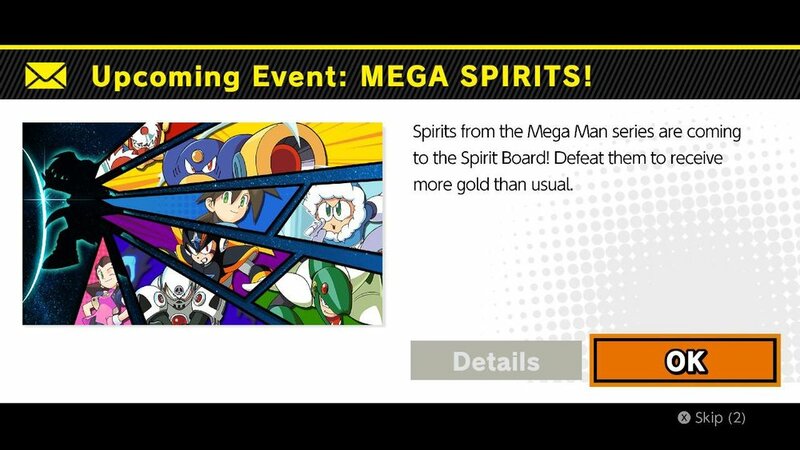 Spirits from the Mega Man series have inhabited the Spirit Board! Defeat them to receive more gold than usual. Legend-class spirit Dr. Wily, Ace-class spirit MegaMan Volnutt, and spirit Bass will appear for a limited time. Good luck!